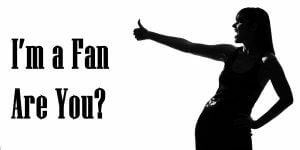 Im a Fan of The Cuttery Hair Salon... Are you? Fill in the below form and you can recommend ‘The Cuttery Hair Salon’ to a friend or family member via a text message. 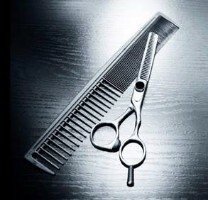 Show your support with a quick share of ‘The Cuttery Hair Salon’. I have been a customer of Pam’s for several years–she is a true professional. In the past, when leaving a salon I would run home to “fix” my hair; this is never the case with Pam–In fact, I hate to wash it because I can never get it to look the way she does. I highly recommend The Cuttery. The Cuttery Hair Salon is fabulous and particularly Diane Lyons who is most professional, personable! I highly recommend this salon and Diane Lyons! Awesome stylist gina at the cuttery! Love her work and she is always so nice and willing to listen and actually do exactly what I ask for. Everyone there is so welcoming. Great place to get a haircut. I\’ve been going there for 20 years an never been unhappy! I am so happy I have been coming to The Cuttery in Brockton! It is so laid back, clean and I absolutely love my friend and hairdresser. She helped me work my curls and introduced me to a color that I love for my hair! I have been a customer for many years. My stylist, Pam, is talented. I receive many, many, compliments on my cut and color. Pam cuts my 19 year old son\’s hair as well. I\’ve been to several high end salons who can\’t match the quality of The Cuttery. Gina is amazing! She takes the time to talk and find out exactly what you want. She makes recommendations that will make you look beautiful! One word AMAZING! These people really know their stuff. I leave feeling beautiful every time!